This weekend on FYI Philly, we run down a list of fun things to do this holiday season. Enjoy an array of light shows around Philadelphia. Plus, we have activities that will bring together family and friends. Take in some history as we tour some Philadelphia treasures decorated for the holidays and offer up some ideas to celebrate New Year's Eve. It's an FYI for you Saturday at 7:30 p.m., Sunday at 1 p.m. and Sunday night at midnight. We take you on a holly, jolly journey to the merriest destinations all around Philadelphia. It wouldn't be the holidays without festive light displays to get you in the spirit. Here's a roundup of must-see shows in the city and beyond. We visit locations in Philadelphia for family fun all winter long. Karen Rogers runs down some city destinations for festive holiday fun! Sign up for free garden workshops! Christmas in Fairmount Park features 5 of the park's treasured mansions all decked out for the holidays. 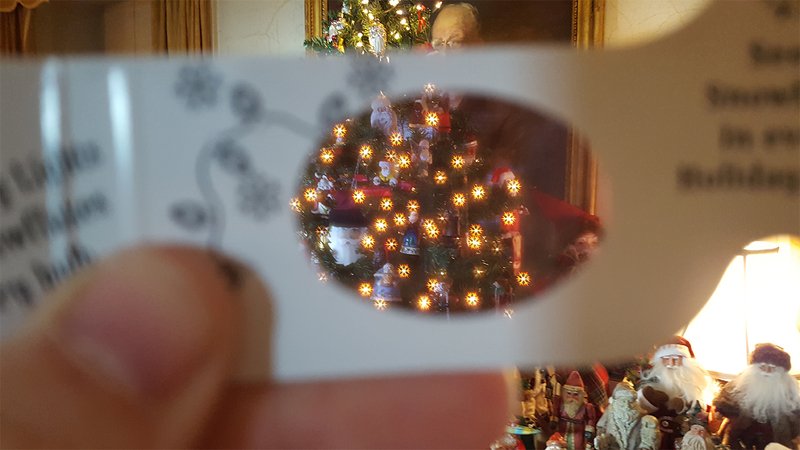 Enjoy the holidays while learning about ghosts of Christmas Past at this year's A Very Philly Christmas at the Historic Houses of Fairmount Park. Melissa Magee runs down a list of merriment in the suburbs. Melissa takes us on a tour through Delaware, Bucks, Chester and Becks counties as she explores what the suburbs have to offer this holiday season! Experiences and time spent together is what the holidays are all about. There are "gift-able" things to do for just about every interest. Still shopping for last minute presents? How about the gift of an experience? Karen Rogers checks out the possibilities. For a unique gift idea this holiday season give the gift of the circus arts! It's time to make those New Year's plans and we have some ideas for you. Watching the fireworks over the Delaware has become a huge Philly tradition. Here are some spots to make the night even more of a blast. $10 donation with proceeds going to the ongoing restoration of the Battleship, a non-profit museum and memorial. Adults with children age 6-18 can spend the night onboard the ship, sleeping in the sailor's bunks and eating in the mess hall. Tickets are $100; 10 p.m.-1 a.m.
We've got some restaurant quality recipes you can make in your own kitchen. Go 'In the Kitchen' with Gina Gannon, Meredith McGrath and Alessi Foods as we share two delicious meals perfect for a dine-in date night or a family meal. The Pennsylvania SPCA works tirelessly to fight animal abuse. The Pennsylvania SPCA works tirelessly to fight animal abuse saving thousands of lives each year and it's all made possible through small donations.